The initial process is easy! Follow the instructions in this packet. One important thing to remember is that everyone has an account already so there is never a need to “Create an Account”, only the “Find my Account” section needs to be filled out. Important: Make sure that there is an email that is associated with the account. If you do not have an email on file with us you must call the club to update your email. When your account is found you will be sent an email. Click the link in that email to access your account. Once you verify your information and save the account you are good to go. 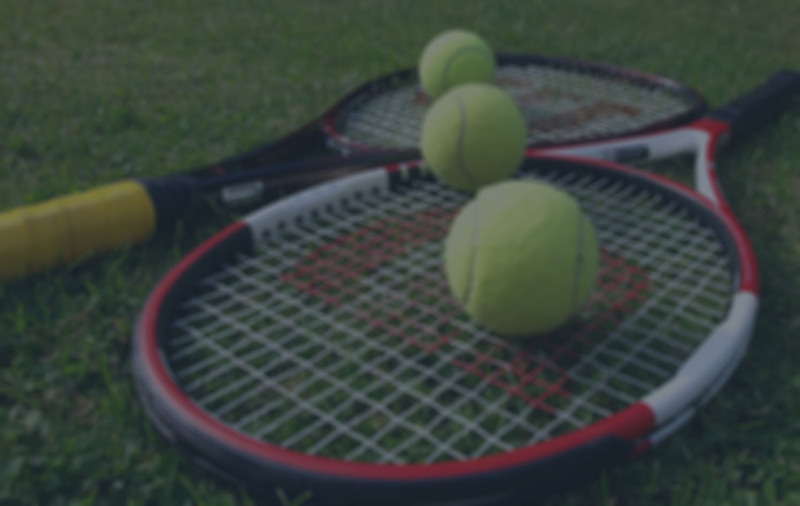 If you have any questions or issues logging in to your account please call Courtside at (908) 713-1144 or email Assistant General Manager, Nate Bauer at NathanB@courtsideracquet.com. 1. 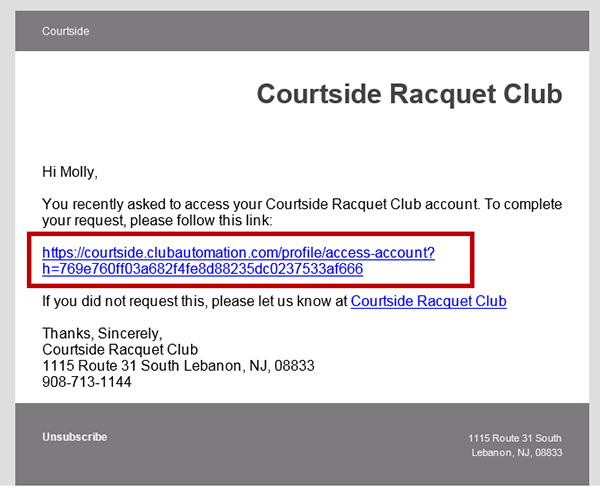 Navigate to courtside.clubautomation.com or go to the club website (www.courtsideracquet.com) and click on the "Member Login" button in the top right corner. 2. 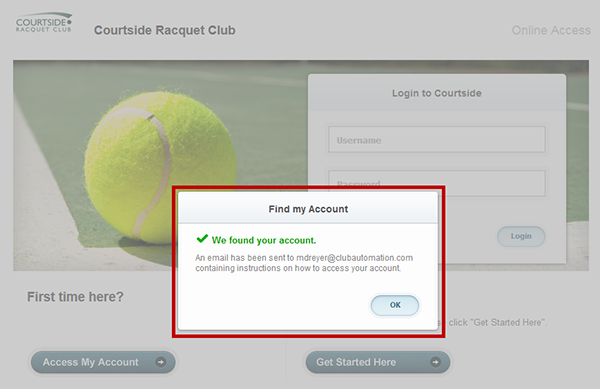 Click on "Access My Account" and enter in your information. 3. You will get a success message and an email will be sent to that account. If you receive an error please call the club. 4. Once you receive your email, click the secure link to complete your profile. 5. 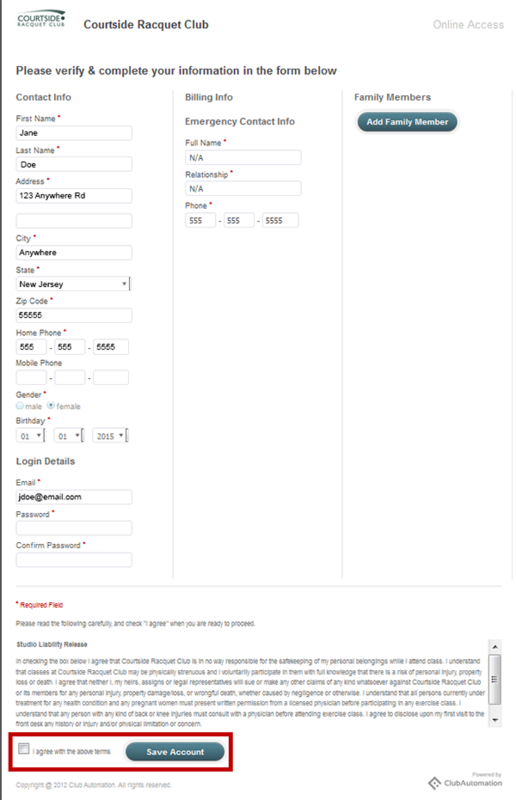 Complete personal profile, check the liability waiver and Save Account. 6. 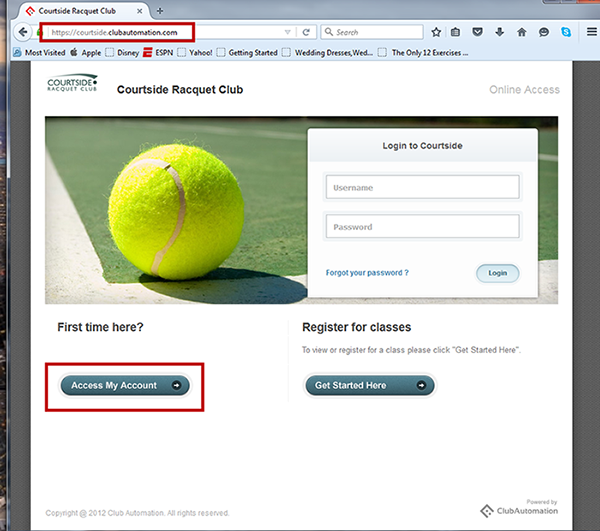 You are now successfully logged in and can navigate through the member portal using the toolbar on the left hand side. 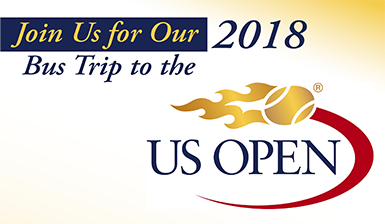 To view the court schedule click on the “Reserve a Court” tab on the left hand side. This will show what courts are available. 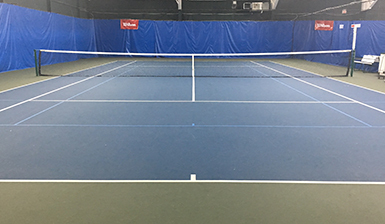 Courts that are already reserved are colored in dark grey. 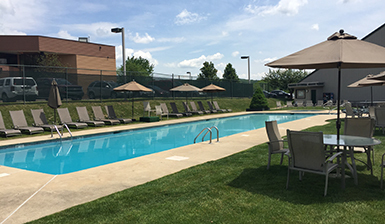 To view your charges and statements as of August 2015 click on the “View My Statement” tab on the left side of the screen. If you have any questions on charges prior to August 2015 please call the club. 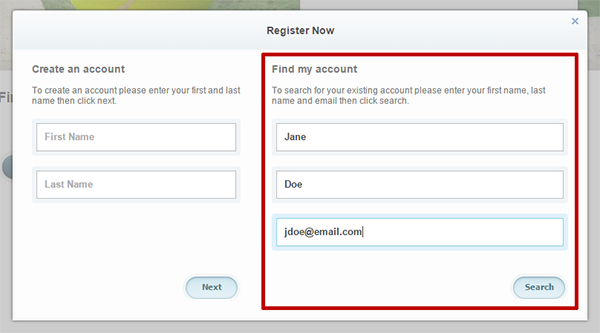 To update your account information click on the “View My Info” tab on the left side of the screen. On the right side of the “Personal Information” header click on the word “Edit”. You can add a new credit card, change an email, address or phone number. When changes are complete click on the “Save Changes” button to complete the process.